The following post is a reprint from a press release in 24/7 news. Correction of upper airway problems in young children can cure bedwetting and prevent or treat ADD and ADHD These are all problems related to Sleep Disordered Breathing and research proves early treatment is essential. As a society we are failing our children and that is the biggest threat to the future of the United States and the Western World. Worse, is that some of our most damaging actions our done by concerned parents who believe they are doing what is best for their children. The airways of are children are systematically being destroyed, a fact known to Anthropologists but ignored by the overall medical and dental professional communities. Prior to 400 years ago Dental Malocclusions were virtually non-existent. The crowded teeth and narrow arches often lead to extensive need for orthodontics. Unfortunately the position of the teeth and the smile are merely the tip of a giant iceberg. Orthodontics, Invisalign and Cosmetic Dentistry can often make the tip of the iceberg prettier, our smiles, but the truly significant underlying problems are ignored or even made worse by much of this treatment. The true danger is that our children are growing up with smaller and smaller airways every passing year. These smaller airways are responsible for the massive rise in ADD, ADHD, Sleep Disorders and Behavioral Disorders. The symptoms arising from poor sleep in children and the symptoms of ADD and ADHD are indistinguishable but result in massive Multi-Pharma use of amphetamines and anti-depressant medications in young children. Pediatricians, Allergists and ENT’s / Otolaryngologists see these smaller airway problems on a daily basis, they present as middle ear infections and eustacian tube dysfuction. They are treated with antibiotics and placement of tubes but rarely are the underlying causes addressed. The antibiotics help the infections but can create nightmare changes to our Biome, the bacterial populations that live in a symbiotic relationship with our bodies. The Bacteria in the human Biome outnumber our human cells by a ratio of ten to one. The current Biome project at the NIH recognizes the Biome as an organ system as important for health as our other organ. The problem with our airway is related to changes in Breastfeeding and diet in infants and children. Dr Robert S Corruccini is one of the foremost Dental Anthropologists in the world and his work has shown that soft western diet contributes to malocclusion due to underdevelopment of the maxilla and mandible, the two most important bones related to airway. This was discussed in his book “How Anthropology Informs the Orthodontic Diagnosis of Malocclusion’s Causes”. Another giant, Dr Egil Harvod, the Director of CranioFacial Anomalies at UCSF conducted airway studies proving how small airways massive developmental changes. Proper Development of the mouth begins with breastfeeding which trains the tongue to be an active participant in swallowing, proper growth and development. Breastfeeding has been increasing but unfortunately only 70% of children are breast fed and that drops to 50% by six months. According to the American Academy of Pediatrics infants should have 6 months exclusive breastfeeding and ideally be breastfed until two years old. Even many of the children receiving mothers milk are fed from bottles which teaches improper swallowing. Cohort: Behavioral Outcomes at 4 and 7 Years” that looked at behavioral outcomes of over 11,000 children related to sleep disordered breathing (SDB). She concluded “In this large, population-based, longitudinal study,early-life SDB symptoms had strong, persistent statistical effects on subsequent behavior in childhood. Findings suggest that SDB symptoms may require attention as early as the first year of life. Pediatrics 2012;129:1-9. The Perfect Start System can treat children as young as two. The Perfect Start System is specifically designed to break harmful habits and grow jaws and airways back to genetic ideals. The negative Epigenetic Changes can be reversed in children as young as two whose normal physiologic breathing and swallowing patterns are restored with a Habit Corrector. The Perfect Start System can be used in all growing children. Research has shown that permanent changes in brain development leading to ADD and ADHD usually occur prior to seven years of age. The Perfect Start System is based on the work of a world renowned orthodontist, Dr. Earl Bergersen. As a professor at Northwestern Dr. Bergersen taught on the subject of orthodontic growth and development. He developed the Ortho-Tain Preformed Positioner and spearheaded the field interceptive orthodonics. The Perfect Start System is based on the principles behind Dr Bergersens 450 world-wide patents. All braceless orthodontics, invisible aligners, and removable braces today utilize the foundation of research studies and FDA-approvals earned by Dr. Bergersen as the pioneer of braceless orthodontics. The DNA Appliance utilizes positive Epigenetic Changes in older children and adults to correct the results of poor development. Dr David Singh developed the DNA Appliance which incorporates both Orthopedics and Pneumopedics (airway growth). The DNA Appliance can grow larger irways on adults curing rather than just treating sleep apnea and snoring. His work is a incredible step for patients too old for the Perfect Start System. Dr Alexander Golbin is a Psychiatrist and Sleep Specialist at Sleep and Behavioral Medicine in Vernon Hills who wrote the first book on Children’s Sleep. He started his career as a Pediatric Cardiologist in Russia where he changed his life and became on of the first sleep specialists in the world. He later became head of Child Psychiatry at Cook County Hospital in Chicago. He has spent his life looking at the effects sleep has on children and describes the children with airway difficulties as FLK or funny looking kids who are more prone to psychiatric and criminal behavior than kids with normal airways. The facial changes he sees in children are the same ones described by Dr Bergensen, Dr Conuccini,Dr Konuck, Dr Golbin, Dr Harvold, Dr Singh and myself, Dr Ira L Shapira. Dr Ira L Shapira is an author and section editor of Sleep and Health Journal, and has lectured extensively on developmental issues in TMJ and Sleep Disorders. He is currently Chair, Alliance of TMD Organizations. 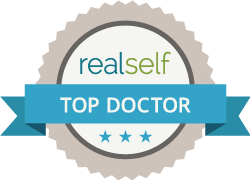 Dr Shapira has no financial interest in either The Perfect Start System or The DNA Appliance but utilizes both at his Gurnee and Highland Park offices. TMJ Disorders and Sleep apnea have common developmental pathways. These disorders are also associated with headaches, migraines, ADD, ADHD, Behavioral Disorders as well as postural problems. Dr Ira L Shapira was a featured speaker at the Second International College of CranioMandibular Orthopedics in Buenos Aires, Argentina. Understanding the developmental pathways and processes is the key to long-term successful treatment of headaches, migraines, TMJ disorders, TMD, Fibromyalgia, Sleep Disorders, Neck Pain, Cervical and postural dysfunction. Early intervention can prevent or minimize problems with ADD, ADHD in pediatrics. Diagnosis and treatment are the first step in achieving a better quality life. Dr Ira L Shapira created the I HATE CPAP (www.ihatecpap.com) and I HATE HEADACHE (www.ihateheadaches.org) websites to help patients find help with these difficult medical disorders that medicine can frequently not treat adequately without a dental collaboration. Dr Shapira did research in the 1980’s as a visiting assistant professor at Rush Medical School where he worked with Rosalind Cartwright PhD who is primarily responsible for the entire field of Dental Sleep Medicine. He also studied with Dr Barney Jankelson who created the initial concepts that physiologic dentistry still uses today and created a company Myotronics that is the leading manufacturer of instrumentation used by Physiologic Dentistry. Dr Shapira is a Diplomate of The American Board of Dental Sleep Medicine, a Diplomate of the American Academy of Pain Management, and a Fellow of the International College of CranioMandibular Orthopedics (ICCMO). He is a former national and International Regent of ICCMO, its current Secretary and the representative to the Alliance of TMD organizations or the TMD ALLIANCE has a general dental practice (http://www.delanydentalcare.com) in Gurnee, Il and has recently started Chicagoland Dental Sleep Medicine Associates with offices in Vernon Hills and Highland Park. Patients in Northern Illinois or southern Wisconsin can contact Dr Shapira thru his office websites or thru http://www.ihateheadaches.org or http://www.chicagoland.ihatecpap.com. Dr Shapira also holds several patents on methods and devices for the prophylactic minimally invasive early removal of wisdom teeth and collection of bone marrow and stem cells. He is currently working with Dr Tom Diekwisch at the University of Illinois to prove these stem cells can change peoples lives for the better. Dr Shapira is a licensed general dentist in Illinois and Wisconsin. ADD and insomnia. I also have TMI and I grind my teeth. I would like to have an appointment with you, however, I live in New York. I was wondering if you could recommend someone here who would be able to provide the same device/care that you wrote about in your article. I appreciate any help or advice you can give me. There are some treatments that can be delivered by any doctor. When there are many multiple concers including sleep issue, TMJ issues and other problems it is difficult to recommend a doctor. Each doctor has his own approach and often are unaware of many issues they do not routinely treat.